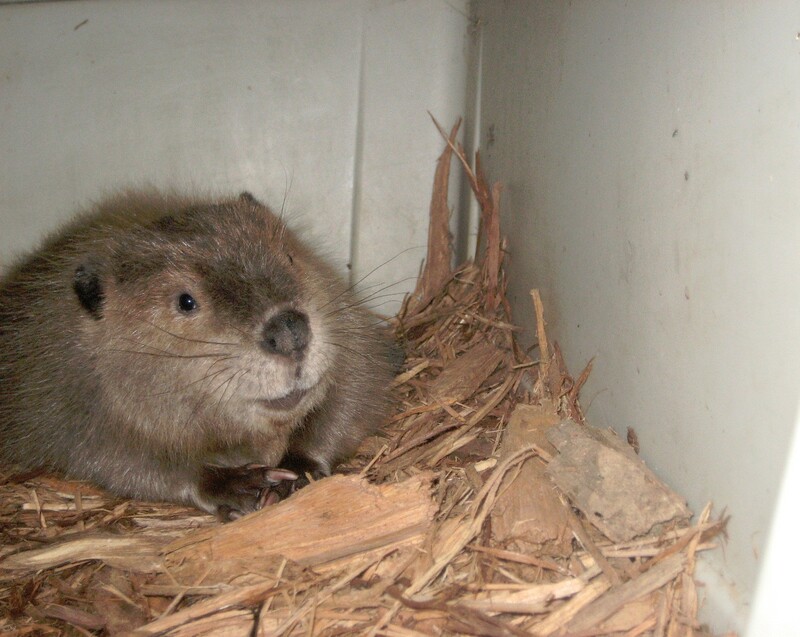 If a baby beaver is injured and can be caught, it will need our help. Click here for instructions on how to get it to NWRI. If you find a baby beaver alone and out of the water, it will need our help. Please get it to NWRI. If you see a baby beaver swimming with larger beavers, please leave it be and enjoy watching the beaver family from a distance! If a baby muskrat is injured or if it is out of water and can be easily caught, it will need our help. Click here for instructions on how to get it to NWRI. If you see a baby muskrat swimming in the water (or on the water's edge and it goes into the water when startled), and it is uninjured, please leave it alone. Baby muskrats leave their mothers when they are still quite small, and if it appears uninjured and is swimming, it is likely just fine. If a baby mink is injured, it will need our help. Click here for instructions on how to get it to NWRI. If you disturb a nest of baby mink, please put it back where you found it if possible and allow the mother time to return to care for them. If you know the mother is dead or has been trapped and relocated, you an bring the babies to NWRI for care. If a baby porcupine is injured (shot, bleeding, has wounds, or is dragging a leg), it will need our help. Click here for instructions on how to get it to NWRI. If you find a very small baby porcupine and the mother is nowhere in sight, please contact us for further instructions. If a baby animal is injured, it will need our help. Click here for instructions on how to get it to NWRI. If you find a nest of mice in a grill or other outside area (shed, etc. ), you can move the nest directly outside the grill or shed (no more than 5' away) and give the mother several hours to retrieve them. If you find a baby mouse or other small rodent, or a nest of mice, and you know the mother is dead, you can bring the babies to NWRI for care. If you find a mouse (or any other animal) alive and stuck in a sticky trap, do not try to remove it. Please make arrangements to transfer it immediately to NWRI for assistance.